Last year, a man named Yocio Jonathan Gomez was sentenced to 34 years to life for a DUI crash on the 405 Freeway that killed two construction workers. Gomez was convicted of second-degree murder, DWI causing injury, and DUI with two or more priors, according to the Los Angeles Times. Since 1972, 92 Caltrans employees have been killed while working on California highways. Most of these deaths were the result of avoidable traffic collisions caused by reckless, negligent, or intoxicated driving. If you’re charged with DWI in a California construction zone, and if you are convicted, you’ll face stiffer penalties than you would face outside of a construction zone. California law doubles the fines for traffic misdemeanors in a construction zone, and any offense in a construction zone automatically becomes a higher level criminal offense. If you are charged with DWI in a construction zone in Orange County – or anywhere else in southern California – you’ll need high-quality legal help at once. 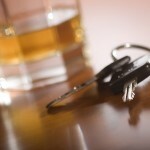 You’ll need to contact an experienced Orange County DUI defense attorney as quickly as possible. There’s really no reason at all to drive under the influence in southern California. Alternative transportation services – such as cabs, limos, and car services – are abundant throughout the region, and most services are available 24 hours a day and 365 days a year. While most drivers charged with DWI haven’t hurt anyone and are charged with only with a misdemeanor, if you cause an accident or if you hurt someone while driving under the influence, you’ll probably be looking at a serious felony charge. 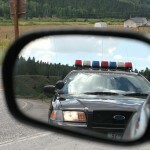 In a construction zone, the penalties for any DWI conviction will be substantially harsher. Construction zones receive special legal protection to enhance the safety of construction workers. 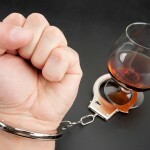 If you are accused of DWI in southern California – and charged with either a misdemeanor or a felony – arrange at once to speak with an experienced Orange County DUI defense attorney.